Happy Friday! I'm on a bus (with free WiFi!) 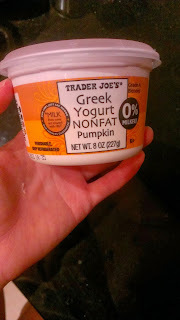 for a weekend Vassar Volleyball reunion followed by a work training in NYC, so I'm just popping in with some recent finds at everyone's favorite specialty grocery store: Trader Joe's. 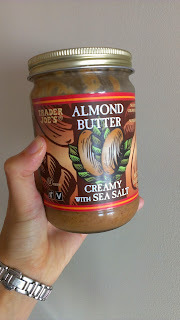 Ok so I know I'm probably the last fitness blogger out there to try this, but I finally tried this after finishing off my Whole Foods 365 brand almond butter. 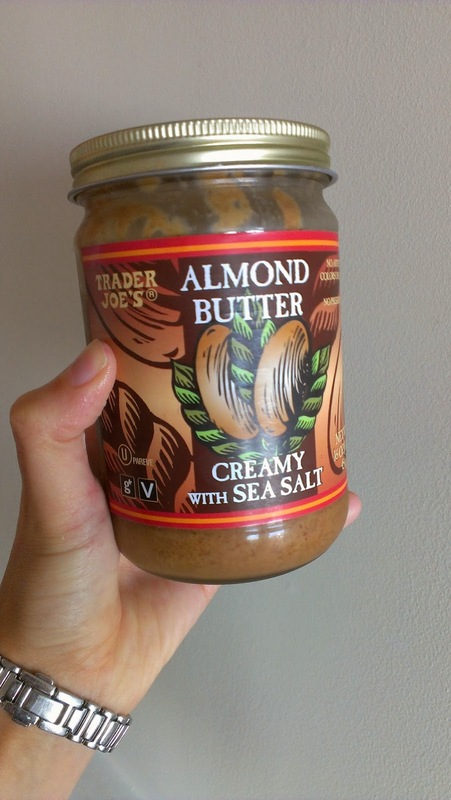 TJ's is so much better! I love the texture and the hint of salt really kicks the flavor up a notch. I usually try to stay out of the beverage aisle (Way too much temptation. Have you had their mango green tea?) 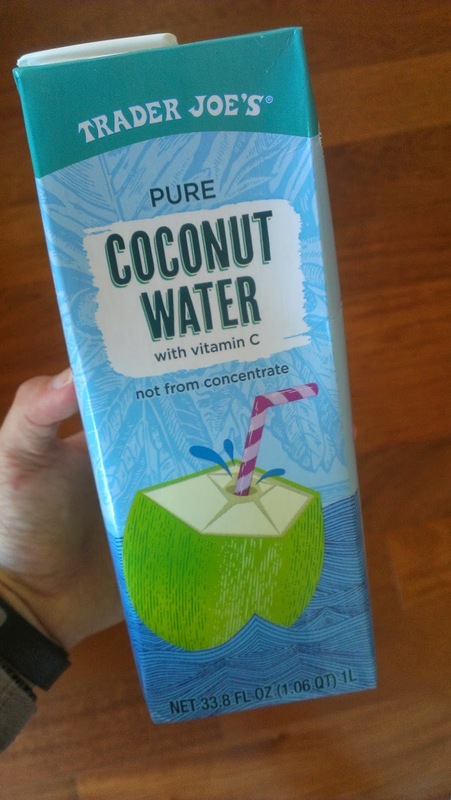 but this coconut water is worth the risk. 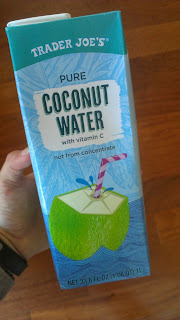 I love the taste, but most importantly (if you're cheap like me) it's about a DOLLAR cheaper than the other brands I like. Just think what you could do with all those dollars saved! Like buy some Lululemon (after hundreds and hundreds of cartons). Pretty self explanatory but yes it's amazing. 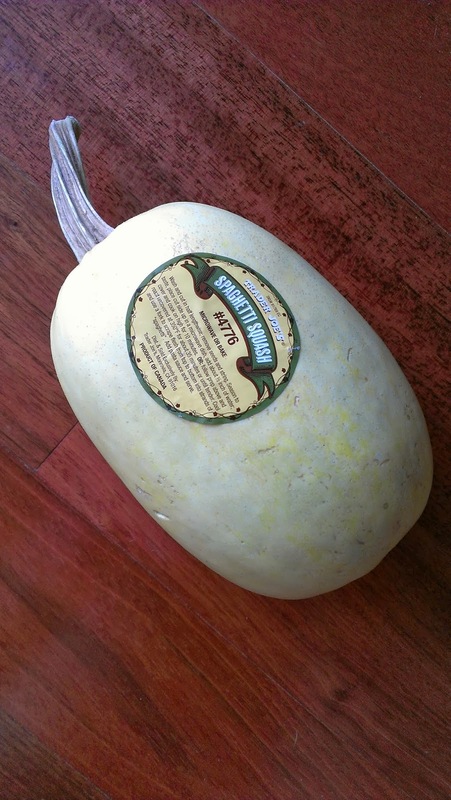 I don't love TJ's produce (too expensive and limited) but every now and then they do have good deals on certain things, like this spaghetti squash. Also it comes with instructions! Really helpful if you are also the last fitness blogger in the world to try cooking with spaghetti squash. Q: Any fun weekend plans? Any involving fun food?